North Korean Leader Kim Jong Un arrived in Beijing Tuesday for his fourth visit to China in a year. Chinese state media reported that Kim came at the invitation of Chinese President Xi Jinping, ahead of an expected but yet to be confirmed second summit with U.S. President Donald Trump. Tuesday also happens to be the North Korean leader’s birthday. He is believed to be turning 36. A three-car North Korean train pulled into Beijing Railway station Tuesday morning shortly after China’s Xinhua News Agency confirmed Kim would be visiting the country Jan. 7-10. In a break with previous visits, Chinese state media confirmed the North Korean leader’s trip while he was still in the country. Previously, official visits by Kim, his father or grandfather were announced only after they were back over the border. Meanwhile, North Korean state media aired footage of Kim and his wife, Ri Sol Ju, boarding the train departing Pyongyang. 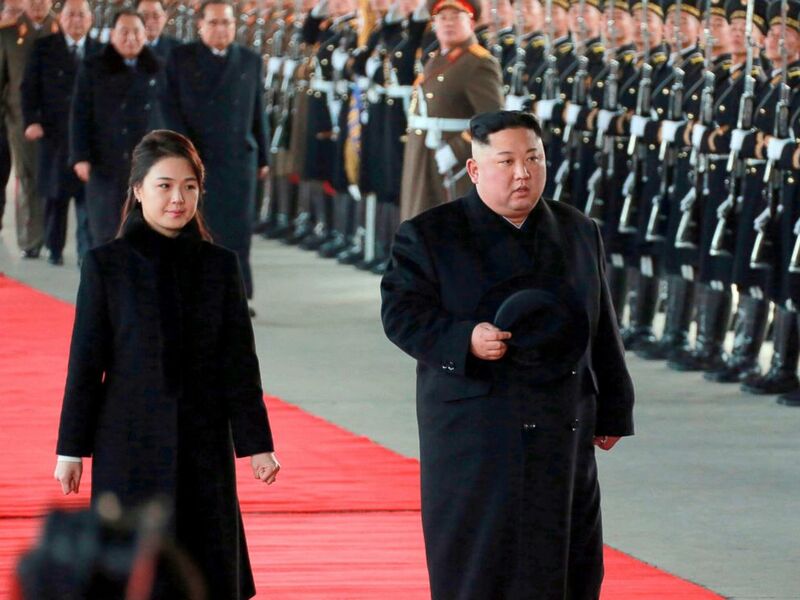 In this Monday, Jan. 7, 2019, photo provided on Tuesday, Jan. 8, 2019 by the North Korean government, North Korean leader Kim Jong Un walks with his wife Ri Sol Ju at Pyongyang Station in Pyongyang, North Korea, before leaving for China. Rumors of another visit came late Monday night as a North Korean train passed into the Chinese city of Dandong under heavy security. South Korea’s Yonhap News Agency then reported that “a senior North Korean official” was aboard the train. Since last year, Xi and Kim has cultivated closer ties in what had previously been a frosty relationship. However since Kim’s outreach to Seoul and Washington, the North Korean leader has coordinated with China in the lead-up to and the aftermath of the inter-Korean Summit with Seoul and the Singapore summit with the U.S. Negotiations between the United States and North Korea have stalled since the two leaders met in Singapore last June, pinning hopes of any breakthrough with the leaders meeting again for a second summit. Both Trump and Kim have alluded to a summit being in the works. “We are negotiating a location … it will be announced probably in the not-too-distant future,” Trump said Sunday at the White House.